10" length is measured hook to hook. 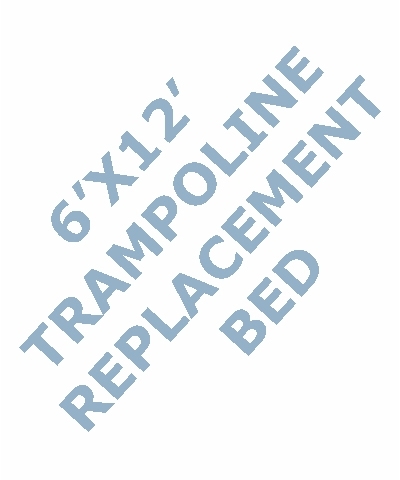 10" Jumbo Competition Trampoline Spring. Zinc plated oil tempered steel springs provide top performance and durability. 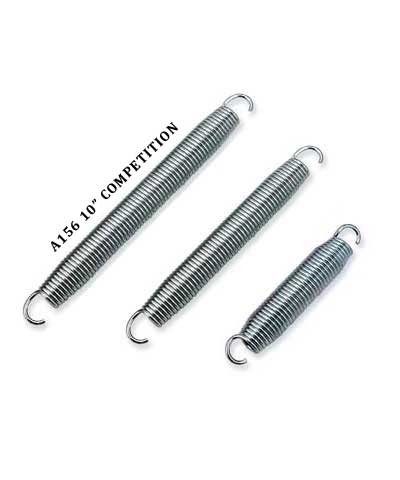 These heavy duty springs are regulation for competition. 10" springs are for use with High Performance or String Beds. Minimum order 10 springs. 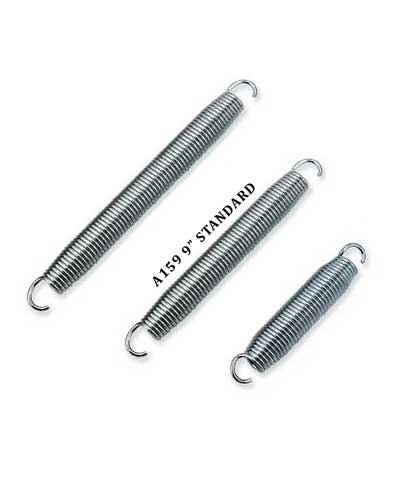 Minimum shipping is $15.00 for 10 springs. The website will charge $15.00 each-this will be corrected before charging your credit card. Shipping charges for more than 10 springs will be confirmed upon receipt of your order.